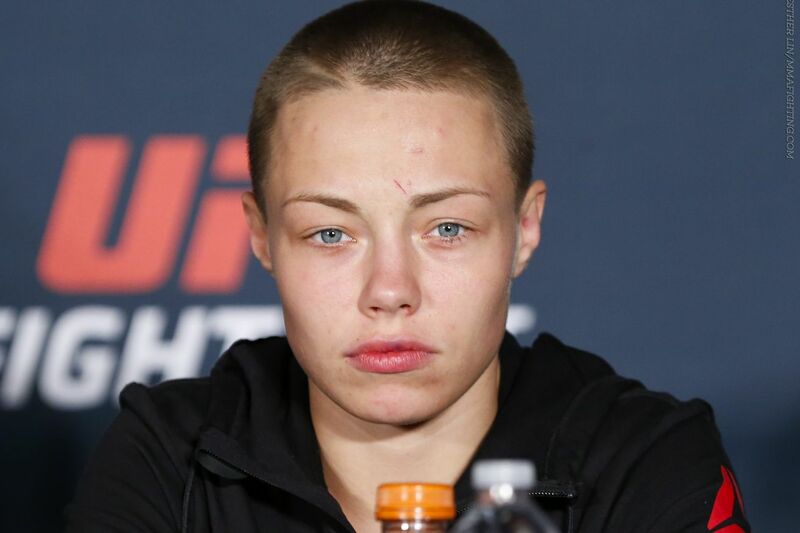 Has WMMA changed the type of women you date? Discussion in 'UFC Discussion' started by Macalpinerules, Aug 14, 2016. I don't know about you but WMMA has changed the type of women I date and find interest in. Before I started heavily watching WMMA I was attracted to a very narrow variety of women but now thanks to some of these women fighters I'm more open to what's out there. Before Thug Rose decided to buzz her hair off I viewed short haired women as being low on the totem pole. But Rose has opened my eyes to how beautiful a woman could be with really short hair. Another thing about short hair that turned me off is that all the women I knew who had such a hairstyle were lesbians therefore I associated it with lack of interest in men. But Rose dates that ugly Rhino Pat Barry so indeed women with really short hair are not necessarily unattracted to men. I might be in the minority here but women with big butts have never been my thing. My taste has always been for really petite quinoa eaters. Also, my experience showed me that my favorite position (doggy) is a lot harder when the woman has a big dumpster. But after seeing some really flattering pictures of Holly Holm I'm starting to change my mind. Now I am interested in women with big stinkers and will not exclude them from my list of potential dates. Thanks Holly!!! Thisisme2, MuayChai297, Fight To Win and 10 others like this. ALAN PARTRIDGE, StormGymLuton, Thisisme2 and 24 others like this. wow that image of holly is going to have to make me fap now, thx goof. I'm married. I just wish my wife could make 135 lbs. The Schmoop, Tobago Jones, jjdowns and 16 others like this. a ninja slays all Rose, Holly, & Ronda. I bet she wishes you could make 180 lbs. Thisisme2, French Canadian, grimkitty and 6 others like this. It sounds like you need to get out more. ALAN PARTRIDGE, Cro Cop Is Back, papasmurf999 and 1 other person like this. DocK, Harry Ellis, rudy4pl and 4 others like this. No, they don't look good. I think Rockhold and others looks way better than them. rraaju, Sgt Smith, Dangus and 1 other person like this. I laughed so hard it brought tears to my eyes, MacalpineRULES. Fight To Win, crxer and JohnyBrabo like this. rraaju and JohnyBrabo like this. Fight To Win, No Mas McGee, Sgt Smith and 2 others like this. WinZip, jjdowns, Thisisme2 and 10 others like this. Most women that fight are ugly. They take too much of that tren tren and get jaw line worse than my boy . Women are like snowflakes, no 2 the same and that's okay. I wasn't too high on punk chicks til I saw Ashlee Evans Smith. Now I love em lol. Yes I want a women who can beat people up for me.